Cute family home in Oakridge. RS-1 zoned on a 46.5' x 121.81' flat lot with no big trees. Southern exposed backyard w/ single car garage. House was built in 1947 with many updates over the years. Main floor: living rm, dining rm, updated kitchen w/eating area, bdrm, new bathroom, and hardwood floors throughout. Up: Mstr bdrm w/den, bdrm & full washroom. Down: Rec rm, bdrm, laundry & utilities. 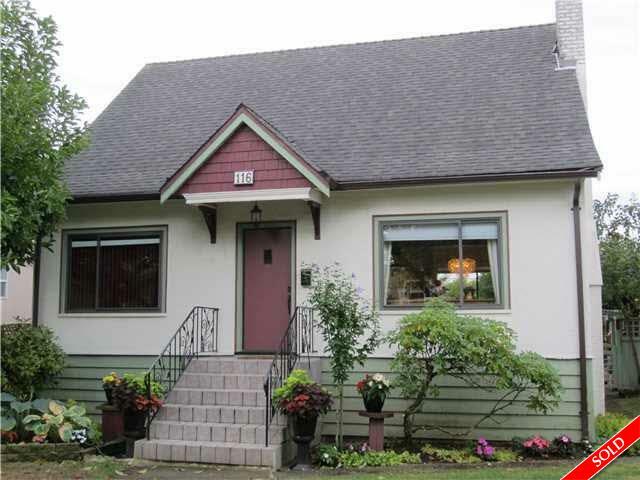 5 min walk to Langara College, Oakridge Shopping center, and Canada line. Great opportunity to buy, live in/rent out, or build a nice big new home. Van Horne Elementary & Hamber High School catchments. Open Sat/Sun Sept 12 & 13, 2-4pm.